I like to take the photo of my shadow. I used the right hand holding the camera and lifted up my left hand to make my shadow look more interesting in the image. 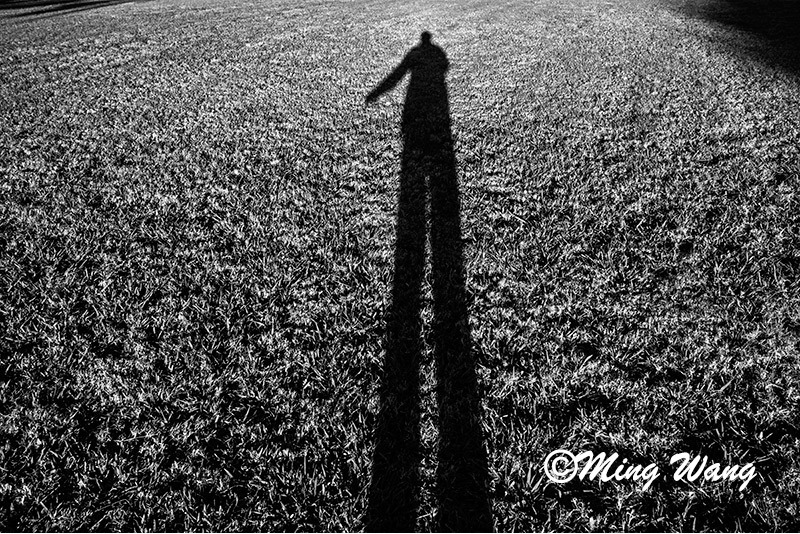 I can not believe that lifting up my left hand had become my habit when I shoot my shadow as I noticed it from many different photos I took. I agree–so much fun to try and reinvent the self-shadow. The last image really does the job. Nicely done. Thanks Sally. It looks like it went better on the surface of rocks because of the line, curve and texture. I do too and have posted several on my site. Thanks. I have looked up yours and they are great. That is the shadow I like to shoot, and have a collection of photo now. Thanks very much. Happy new year.